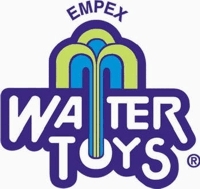 Since 1986, Empex Watertoys® of Toronto, Canada, has supplied creative water playscapes for the enhancement of landscape designs the world over. Empex manufactures creative interactive watertoys and spray features for water playgrounds and splash parks internationally in campgrounds, municipal parks, waterparks, amusement parks, family entertainment centers, day camps, summer camps, golf courses and resorts. Empex Watertoys® created a new line of interactive water features - Aquatropica. The new features are leafy flora and zany fauna with tropical trees and flowers, caterpillars and butterflies, bugs and snails, monkeys and birds, all intended to provide an exciting and unique water playground for kids up to age 12.